Many students would say that one of the most stressful parts of the year is test taking. The positive and negative sides of taking so many quizzes and tests each year have students all around high schools wondering. Is test taking really effective? 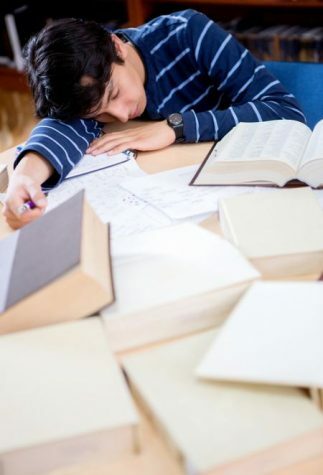 Signs that excessive amounts of testing and quizzing could be the opposite of helpful could include the fact that many students are becoming more and more stressed, testing could possibly waste time, and each individual tests differently than others or even the majority of certain classes. Several students find that they know subject material, but have a rough time testing. Whether the cause of this is stress or otherwise, it is a valid point as to why test taking may not be as helpful as it has always seemed. High school students already have so much to stress over, and on top of that, testing has a big impact on them. Is test taking a waste of time? Taking tests and quizzes could be taking up the class time where more “input” learning could be used. Excessive amounts of testing could potentially lead to a loss of time teachers could be using to teach more about the curriculum. It’s possible that lessons needed to be learned for the furtherment of everyone’s education could be traded in for testing time. No matter the student, each individual tests differently. Many students find that the quizzes and tests they are given do not help them remember the material they learned in class. The questions could be a bit too specific to certain learning styles, and this is what causes common confusion among so many classrooms. Less testing or more personalized options for testing could potentially make a big difference in each student’s education. So often, questions come up between students. Is testing effectively helping us? Concerns may include that testing adds a lot of additional stress to the life of a student, testing could be taking away more time to learn, and each individual learns differently, so testing is not helpful to those who learn the best in various amounts of ways. Testing is such a common way to find out what students have and have not been learning. However, multiple negative effects of testing have individuals wondering if the method is effective.